It will be 40 years this September that I’ve taught yoga to people with learning disabilities, and I will be celebrating with YOU & ME Yoga events and special offers. The first of which I’m pleased to offer throughout this Summer to experienced yoga enthusiasts the opportunity to train one day with me in YOU & ME Yoga for just the purchase of a set of the YOU & ME Yoga teaching materials @ £325 (originally £345). There is no fee for my time teaching you how to effectively use the materials and sharing with you several case studies of clients benefitting from the system (anonymously and with permission). This training offer is available up to the end of Aug 2018, at my studio in Kent; and it can also be arranged online for 3-hour session via FaceTime or Skype, to suit mutual convenience. NB This offer will give you the teaching materials to develop your practice in line with the YOU & ME Yoga Modular Training Programme as portrayed on the website, with substantial reference to the listed ‘learning outcomes’ from your own teaching experience, in due course. If you’re interested in this exceptional offer and would like to start teaching YOU & ME Yoga next term, please don’t hesitate to reserve your place, which will be on a first-come-first-served basis. I look forward to hearing from you and if there are any queries please don’t hesitate to contact me. “I spent a day with Maria learning the basics about YOU & ME Yoga. It gave a good insight into her yoga programme. Working one-to-one meant we could focus it on my needs and interests as a teacher. 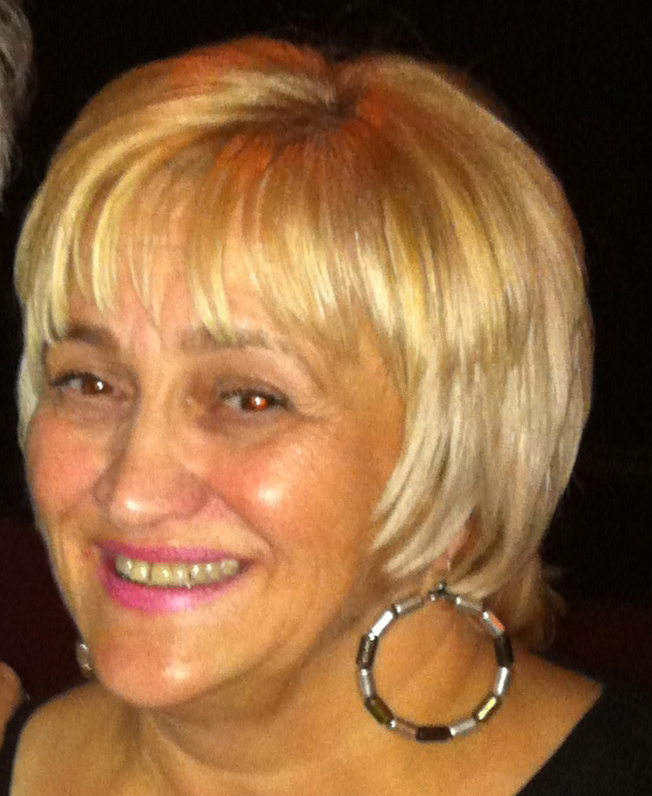 Maria is friendly, warm and very knowledgeable.” J.B. Satori Yoga, Sheffield. "The most comprehensive and useful course materials I have ever received. Very clear, structured and detailed." E.B. BWYoga Tutor, S.N. School Teacher, Yorkshire. 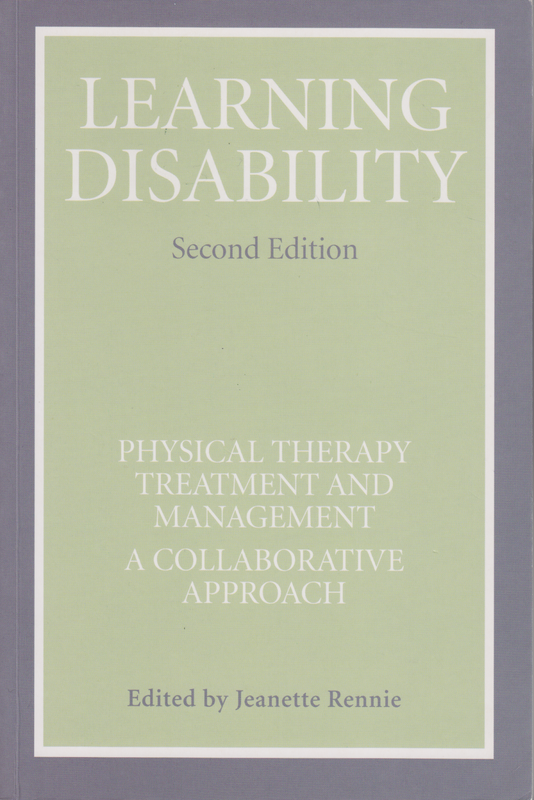 "Excellent materials - very well researched; a wonderful resource for future use. Highly recommended." J.R. BWYoga Teacher, Wakefield. "The beauty of the YOU & ME system is that it can be adapted to everyone's needs, regardless of their ability.” S.G. Trainer, Distington. “After learning YOU & ME Yoga, I was able to create an experience for my clients that took them on a journey of self-discovery. The colour coded system and the character of Eddie was something easy to relate to, non-threatening and fun; which is important when dealing with people with autism.” A.L. Occupational Therapist, London. Now it's Spring and Summertime and time to spring clean after such a bitterly cold Winter. So, as well as spring cleaning my house and getting the chi-energy to vibrantly flow throughout my home, I decided to do a body cleanse and get the prana-energy to freely flow throughout my body. Consequently, I started an online detox course based on Ayurveda* with The Chopra Centre run by Deepak Chopra and Dr Sheila Patel. This course has been a pure delight which has helped me improve my diet and gain more energy and knowledge of this ancient Life Science. The first session covered the principles of Ayurveda involving the five elements and I was amazed to be reminded of similar information I received back in 1984 when we filmed an interview with the late Yogacharya B.K.S. Iyengar in his ashram in Pune, India. 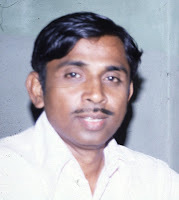 At that time, I didn’t understand the connection between the body and the five elements and had no idea Mr Iyengar was introducing me to Ayurveda. I found the film in my archives, edited the relevant section into a 10-minute video with a snippet of his medical yoga class and an interview, along with the transcription, that I am pleased to share memories of this dynamic world-famous man with you. * Ayurveda is a science of Life. It is ancient wisdom that continues to be one of the world’s most sophisticated and powerful mind-body health systems. We use colour because it is one of the best mediums through which people can be motivated to learn. The use of colour in the YOU & ME Yoga system helps special clients understand that Yoga is a meaningful experience for the whole of their body. Hence, the legs are coloured red, hips and lower back orange, waist and mid-back yellow, chest and upper back green, and the arms blue. Indigo and violet colours represent the mindful aspect of the movements: Indigo deals with coordination and violet the concept of whole body awareness. Colour assists with the learning process and the selection of a sequence of movement for the whole body organised to suit the client's needs and abilities. If there is restriction in performing any particular Loosener in the usual way, a variation can be used instead. For example, if the client has restricted leg movement, a red variation technique can be selected for the client’s ability. 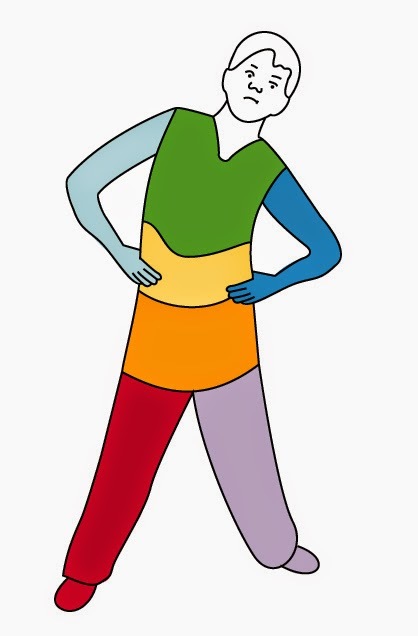 It is necessary to include one of each of the coloured Looseners for a carefully selected and arranged sequence of Whole-Body Joint Looseners. Before planning a Joint Looseners programme for clients, it is necessary to be aware of any client’s health condition that could cause any of the Joint Looseners to be contraindicative. 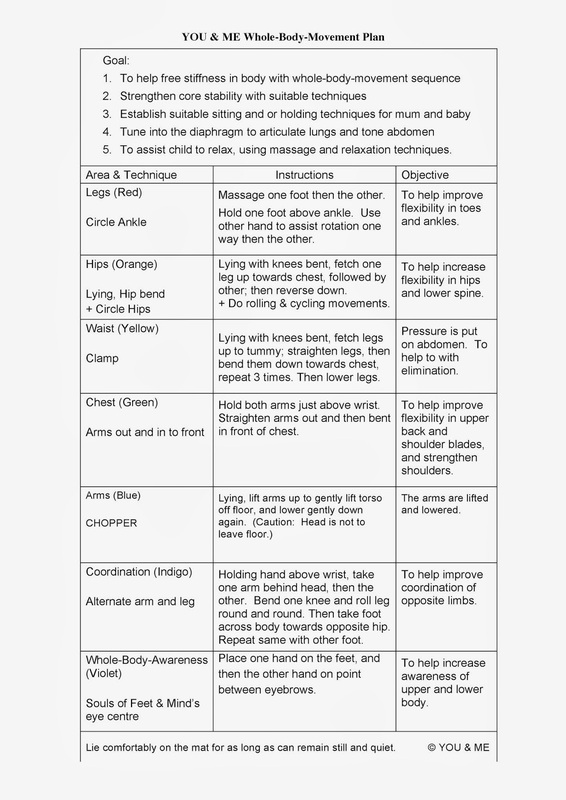 This information is available in the Whole-Body Joint Looseners and Variations for Special Needs’ PhysioTool. Provides and develops software to produce lesson plans and personalised exercise handouts, at the click of a button. PhysioTools is the world’s largest exercise library with 20,000+ techniques, which can be installed on the computer or use online. It is used by healthcare and fitness professionals around the world. Simply select the techniques, edit the text to customize, then print or email the handout, as appropriate. Whether you choose to install the DVD or prefer using the software online, PhysioTools has the right exercise product for your clients. 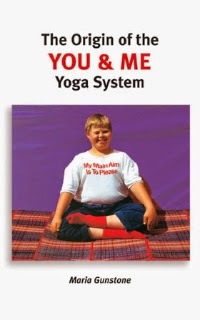 The YOU & ME Yoga system of sound colour and Whole-Body-Movement is a very effective yoga system for persons with learning disabilities. Evidence shows that staff and parents can practice this regularly together for mutual benefit and progress. To acquire further yoga knowledge, skills and confidence to teach this clientele Maria Gunstone welcomes you to address your learning needs and send her your questions for guidance and support. I met Professor Thomas, who was wearing a vivid yellow bow tie. Out of the blue He mentioned, "Life is very different these days." I enquired if He was referring to the IT evolution. "Not just IT, it's everything. Life as it is now isn't any better or worse, it's just so different." I courageously announced that I am digitalising my books for IT platforms and He asked, "Are you an author too, have you written more than five books like me?" I replied "I have written seven books on the subject of Yoga for disabled people." He revealed his recent book was on the History of Radiography. "Not as appealing as Yoga", he added. He then further explained his personal interest was because he had a 29 years old son with Down's Syndrome. I casually commented about there's not so many Down's syndrome babies being born these days. When instantly He raged about the expulsion of them before birth is outrageous and such an appalling lose to humanity! In earnest I replied, "Down's syndrome people are the nicest people I know. For they have the natural human qualities of inspiring, endearing affection. Furthermore, they take to Yoga like 'ducks to water' with their flexible bodies and ability to be 'in the present moment' more so than most of us." The professor nodded and grinned in agreement. This conversation inspired me to write about Down's Syndrome and Yoga. The hallmark of people born with Down's syndrome is that they have: characteristic facial appearances, hyper-mobile joints, a variety of associated medical conditions, some degree of intellectual disability and variable self-care skills. Up to the last decade or so, this condition occurred in every 700 births, more often in boys than girls. Most of the people with Down's syndrome I know are good-natured with a good sense of rhythm, however some do have a stubborn personality. Congenital heart disease is present in approximately half born with Down's syndrome. In which case, care is needed with techniques requiring lying on the back and must be avoided in severe cases. 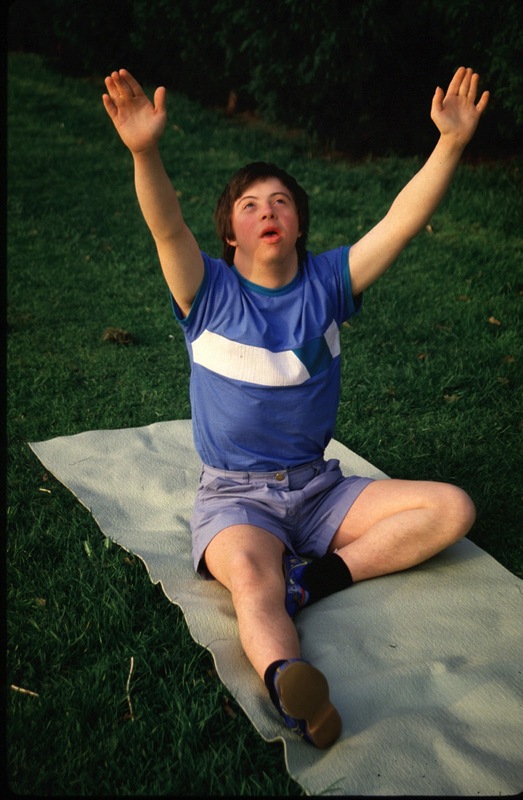 Down's syndrome people respond very well to Yoga. Because they are good mimics and can copy the yoga movements quite well with their flexible joints. Their supple mobility is not a problem, but there is a need to be aware of possible atlanto-axial instability (misalignment between the first two vertebrae of the neck, just below the skull) hence care is needed to limit extending the neck. People with Down's syndrome often have tight heel cords. 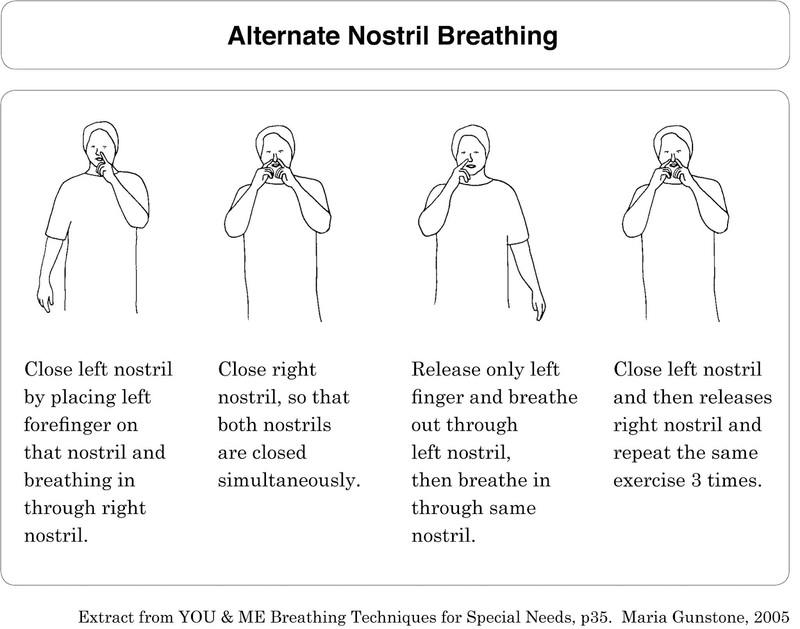 Yoga movements that stretch the heel cords are very beneficial to people with Down's syndrome. They tend to have weakness, especially in the abdomen with poor core-stability, and limited strength in the shoulders and the hips, as well as the ankles. Usually they have poor isolation of movement, which is more to do with their awareness of limbs. If you instruct them to move the leg, they can copy you, but if you say 'move the leg', it's the understanding of where the leg is, and to isolate that movement, that is their difficulty. Terms such as 'back', 'other side', 'turn round' are difficult concepts for people with Down's syndrome to understand. 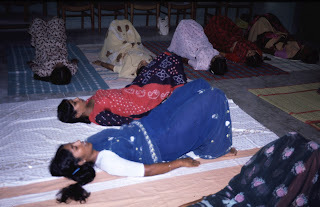 The practice of YOU & ME Yoga Postures will definitely help improve their understanding and improve their performance of the movements in quite a short time. As well as help strengthen their muscles and control of the joints. 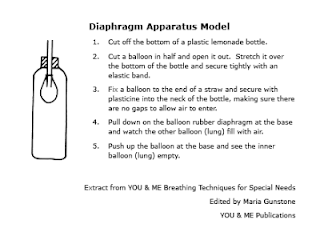 Needless to say, the most important aspects to teach people with Down's syndrome are: body awareness, spatial awareness, coordination and breath control. Here is a young man performing his Ostrich, Twist and Lotus Postures. The Ostrich helps with progression towards achieving full arm extension. Using a chair to support bending forward assists balance and promotes confidence. The Twist Posture is excellent for improving awareness of 'behind'. Usually the Lotus Posture is quite easy for persons with Down's syndrome to do, because of their loose hips. The aim for this posture is to sit up straight while focusing on breathing. When sitting back to back with a teacher or a peer the feeling of the breath can be experienced in the partner's back. Excerpted from the YOU & ME Yoga Modular Programme.